Shamrock Glasses -Green Glitter 3 Leaf Clover Shaped Glasses. Shamrock Glasses - Green Glitter 3 Leaf Clover Shaped Glasses. 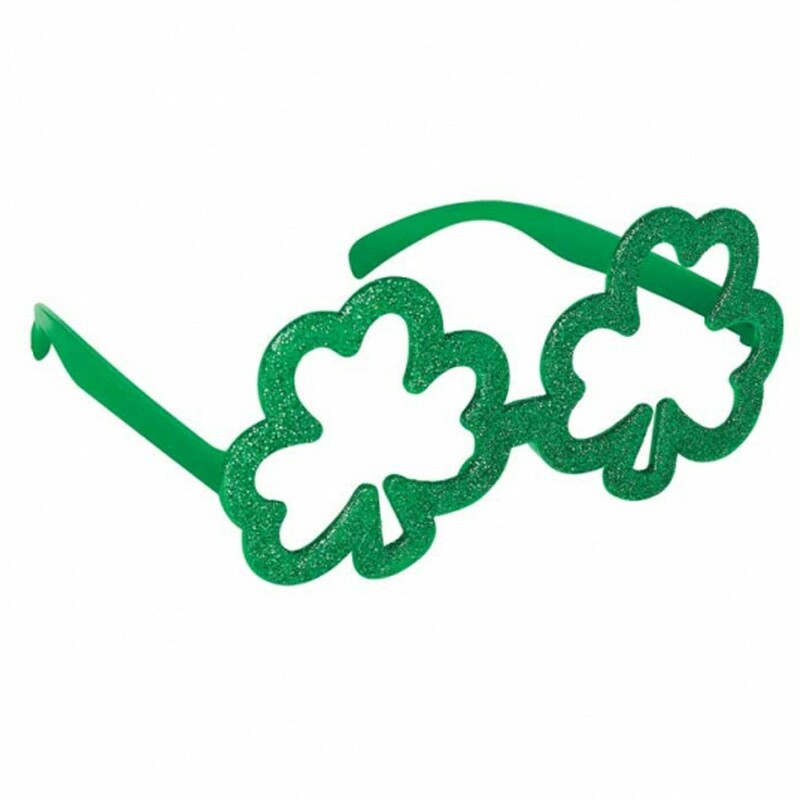 These fun glasses are the perfect Shamrock Glasses to wear on March 17th or any other traditional Irish celebration, why not join in with this great accessory!